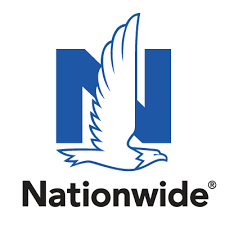 You can be confident you're working with the best when you work with a Nationwide and Allied independent agent. Allied independent agents look out for your best interests over the interests of the insurance company. Allied Insurance agents aren't out for the quick sell – they aim to build a relationship that will last a lifetime. They'll take the time to get to know you so they can offer you a customized solution to your insurance needs and reward you with the discounts you deserve. CONDUCT ourselves at all times with integrity, dignity, and truthfulness in order to earn recognition as a trusted and valued advisor and provider of exemplary customer service. PLACE the direct and indirect interests of my clients and policyholders first and above any personal gain. RESPOND to our customers’ and clients’ needs, providing full and accurate disclosure of all information and analysis which will enable them to make the most informed and appropriate decision possible. MAXIMIZE the absolute suitability of all product and service recommendations by being sensitive to a customer’s or client’s risk tolerance. PROTECT the confidentiality of the agency-customer relationship, both business and personal. IMPROVE professional knowledge and competence through continuing education and personal development. COMPLY at all times with the letter and intent of the law and insurance regulations. This Code is based on the belief that through our words and actions we will bring honor to ourselves, our profession, and our companies.